Pauline Roussin-Bouchard bookended her week at the Portuguese Ladies Amateur with rounds of 3-under 69, which was enough for the Frenchwoman to take home a one-shot victory over countrywoman Lucie Malchirand. Roussin-Bouchard and Malchirand are both from Versailles, though they play out of different clubs. When Roussin-Bouchard won the event on Sunday at Montado Golf Resort in Palmela, Portugal, she became the first French winner since 2009. The 18-year-old Roussin-Bouchard won with a 5-under total, but it was dicey coming down the stretch. Malchirand, 15, had chipped in for birdie at No. 15 and led her countrywoman by three shots. She double bogeyed the 17th to open the door for Roussin-Bouchard. The winner made the most of that opportunity with birdies at Nos. 16 and 17 to pull ahead. Englishwomen Georgina Blackman and Isobel Wardle finished third and fourth, respectively. Wardle was the defending champion, and also won the 2017 English Women's Open Amateur. 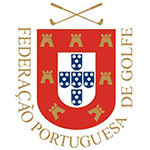 Sara Gouveia was the only Portuguese player to make the 54-hole cut and finished 36th at 15 over. "I have achieved my personal goal in a tournament with a very strong set of players," said the 19-year-old national team member. "Today I liked to have gone a little higher in the standings, I was a bit short of what I was expecting, but I'm satisfied with my performance." World ranking event for international women amateurs. 72 holes stroke play.